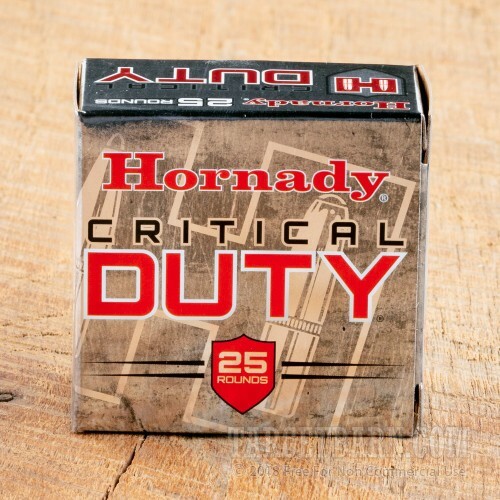 Developed with tactical professionals and law enforcement personnel in mind, Hornady's Critical Duty line of ammunition is designed to perform in today's tough urban environments. 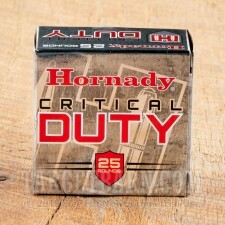 Offering powerful penetration and superior ballistic performance, Critical Duty takes Hornady's popular Critical Defense line one step further. These rounds are proven to punch through tough urban barriers like sheet metal, wall board, plywood, heavy clothing, and automotive glass without losing effectiveness. This ammunition blows away every FBI test for barrier penetration. This package contains 250 rounds of Hornady Critical Duty 9mm Luger (also known as 9x19mm parabellum) ammunition. 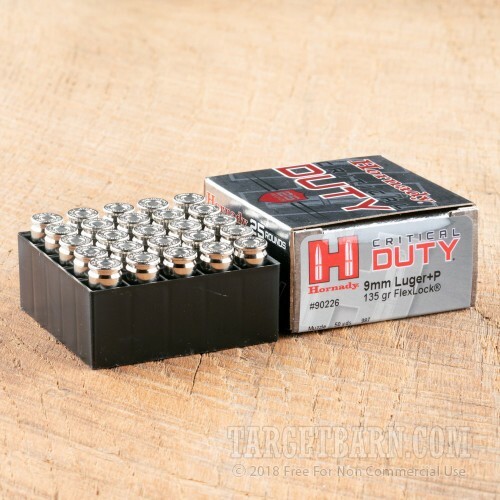 Each round is loaded with a patented 135 grain FlexLock jacketed hollow point (JHP) projectile with a tough high-antimony lead alloy core. The FlexLock design combines Hornady's patented Flex Tip for reliable expansion with a unique interlocking band designed to prevent jacket/core separation The result is maximum weight retention, tough penetration, and hard-hitting terminal performance. These rounds produce a consistent muzzle velocity of 1110 feet per second and a muzzle energy of 369 foot pounds. 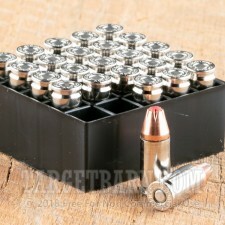 Featuring nickel-plated brass casings, these rounds feed smoothly and make low-light chamber checks a breeze. Also, loaded with a low-flash propellant, Critical Duty rounds make it easier to fire multiple rounds in dark conditions without losing night vision.